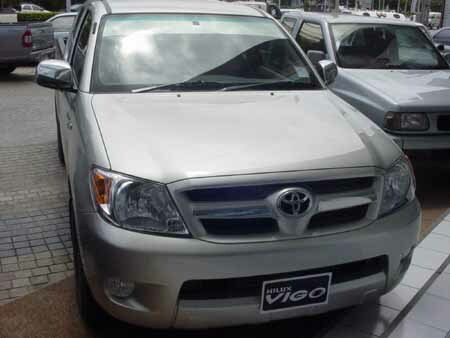 Read below the news flash on the Toyota Vigo Pickup. Please note our company is totally registered & Thailand Export license holdersplus we are Registered members of ( EAN ) Thai Federation of Industries. Safeguard your car buys by dealing with only REGISTERED COMPANIES who are registered exporters. 2 door extra cab model Vigo. If you wish us to buy all cars are purchased at retail Thailand costs.We specialize in shipping only. Looking for a pickup or sports utility vehicle then look no further. Quality 4WD and 2WD pickups direct from the manufacturer. 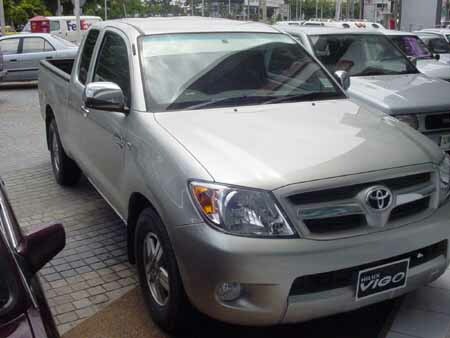 The new Toyota Vigo is available for export from Thailand. Our Toyota Vigo prices can not be beaten! 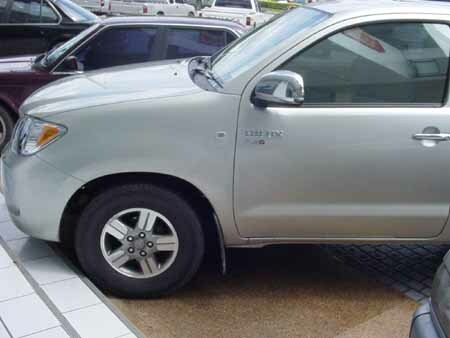 We have Toyota Vigo 4WD double-cabs in stock and available for immediate shipping anywhere in the world. Please check your import regs to western countries as Izusu's and Mitsubishi may not be allowed to import to your country under new rules. We have our own shipping company, storage depot, packing in Bangkok and offer full shipping services from RoR to FCL. We guarantee you won't find cheaper prices or better service because we are a shipping company and we ship everything from motorcycles to excavators and use the worlds best shipping services. Either 2 wheel or 4 wheel drive and we can supply accessories like roll bars, lights, rear steps, canopies, liners, internal DVD, video & LCD screens, heaters, canopies, cruise control, pioneer stereos, at unbeatable prices as we have our own staff. If you buy your own car and want exported then ask us. 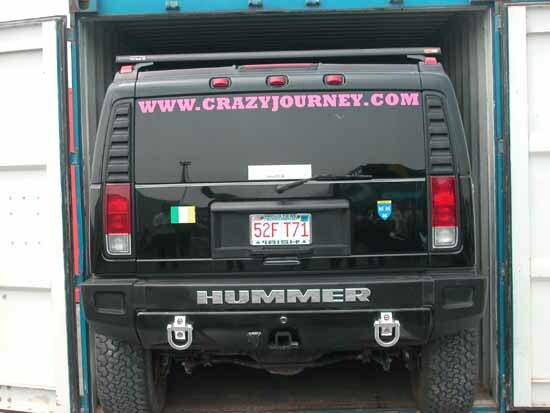 We also export motorcycles, excavators and trucks so theres nothing we cannot do. We are registered Thai exporters & members of EAN: Thai Federation of Industries so fully certified. We can also arrange clearance in the UK and other countries for you to make the process easier. Payment by TT before purchasing. Thanks to the rivalry between Isuzu D-Max and Toyota Vigo, the pickup segment is heading for a record year as sales are expected to top the 400,000-mark for the first time in history. Based on 11-month sales of 390,039 units and an estimated 50,000 units or more in December to close out the fourth quarter, the domestic pickup market could well be worth 450,000 units this year. The segment expanded 21.5% from January to November compared to the same period last year. Chevrolet (157.5%), Mitsubishi (31.9%), Toyota (22.2%) and Isuzu (19.5%) provided the surge for the segment, the first three posting above average growth rates. In fact, Isuzu and Toyota are the "market" from the perspective of sales volume. 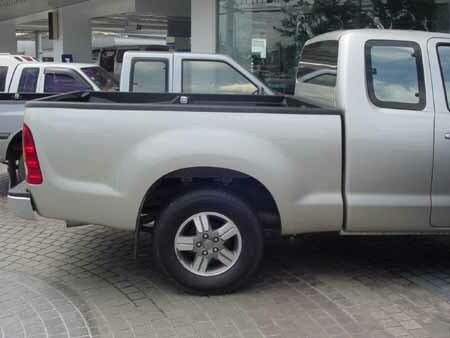 In layman's terms, Isuzu and Toyota combine almost equally to account for seven out of 10 pickups seen on the road. Isuzu has a market share of 37.5% and Toyota 33.6%. Isuzu should top the commercial vehicle segment for the 23rd year running with sales of 165,000 units, well ahead of Toyota which is expected to net sales of about 145,000 units. Ford could give Chevrolet a run for its money next year when its model-change pickup, previewed in concept form at the Motor Expo earlier this month, hits the market. That said, Isuzu and Toyota should be followed by Mitsubishi (8.4%), Nissan (7.2%), Chevrolet (5.8%), Ford (4.4%) and Mazda (2.8%), in that order as the year comes to an end. It's been a slow year for the passenger car segment. Even new compact sedans, both model-change and cosmetic touch-ups, from Ford, Honda and Toyota might not be able to turnaround the 11.8% drop in sales. However, boost for the segment will come from Toyota and Honda. Toyota is still the "market" with almost half of the total volume sold in the segment - 79,369 units or 48.9%. Honda is second with 29% based on sales of 47,046 units. For the whole year, Japanese mainstream volume-sellers (Mitsubishi, Nissan and Mazda) sold about one-tenth of what Toyota and Honda sell in a single month. The premium segment is dominated by Mercedes-Benz which claims to have over 53% market share. Merc sales were estimated at 7,166 units compared to BMW's 2,012 units. It's going to be a record year for sport-utes whose sales could reach 40,000 units by the time curtain falls on 2005.Pickup-based SUVs and their competitive pricing - thanks to more competitive excise taxes - have spurred growth of this segment to unprecedented levels: 36,950 units sold during January-November. 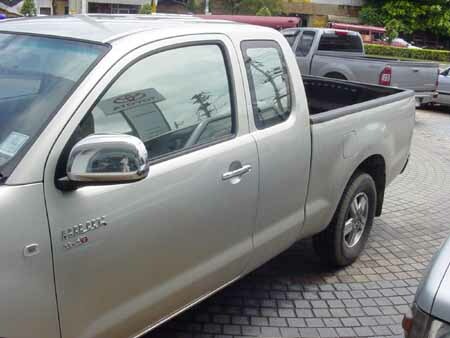 In Thailand, sales of Hilux Vigo pickups, the first model in the IMV family, passed 110,000 units after the first seven months of production, with a 36% share of the market segment. Toyota announced in 2002 that Thailand would be the company's global manufacturing base for pickup trucks, sport utility vehicles and diesel engines. Toyota has already spent 30 billion baht since 2002 under its IMV programme, doubling production capacity of pickup trucks at its Samrong plant in Samut Prakan to 250,000 units per year and also expanding its parts manufacturing facilities. The exact location of the new plant is still not decided, but will be located near Bangkok.The new plant will have a production capacity of 100,000 pickup trucks per year to complement output at the Samrong plant. Construction of Toyota's first new plant of century is tentatively set to begin within months, with completion scheduled in 2007.Another three billion baht will go to the plan to expand the production capacity of Toyota's plant at Gateway Industrial Estate in Chachoengsao to 200,000 vehicles from the existing 110,000 units per year. The plant is dedicated to the production of sedans and mini-multi-purpose vehicles, including the Camry, Corolla, Vios and Wish models. The expansion of the Gateway plant will be completed next year. 2. What 's The Dimensions Of your Car ( WIDTH X LENGTH X HEIGHT ) In C.M.